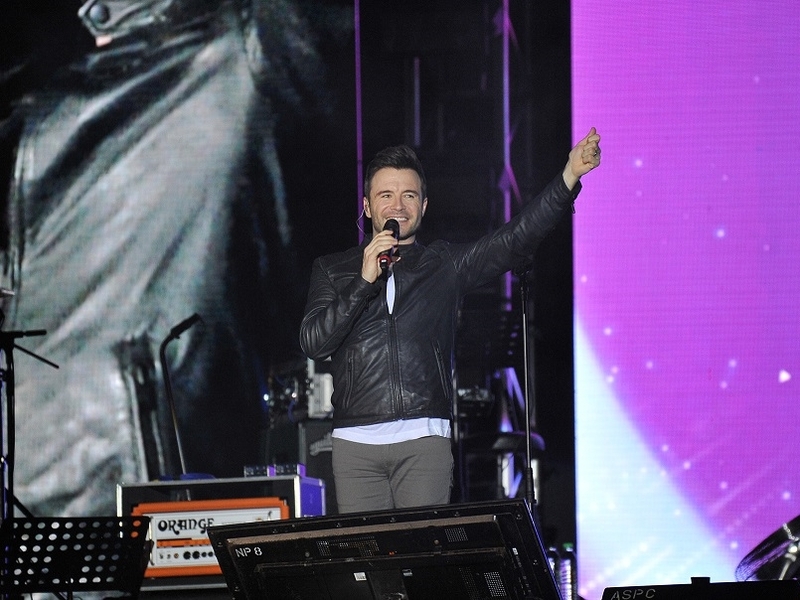 While Malaysian fans patiently wait (a long, nearly-two-decades wait now) for Westlife to return to the country for a full concert, they were at least able to enjoy some of the boyband’s older hits again when member Shane Filan performed at the Elmina Lakeside Concert last weekend. As he’s been to the country various times before, the singer comfortably greeted his thrilled fans and even got them to sing along during his performance. He started it off with “Uptown Girl”, a song that not only older fans but even newer fans sang along to enthusiastically, followed by “My Love” and “Heaven” before singing his own solo song, “Beautiful in White” off his 2017 “Love Always” album. Switching back to nostalgic mode, the singer once again got the crowd singing along to “What About Now”, “Swear It Again”, “If I Let You Go” and, what he called his favourite Westlife song to sing, “You Raise Me Up”. Westlife fans sang along with Shane Filan as he performed some of his band’s hit songs. 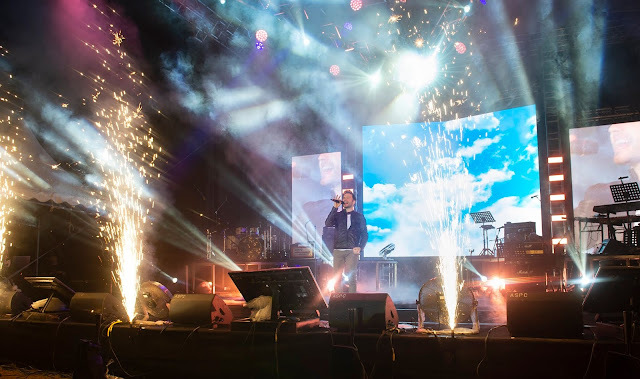 Prior to Shane wrapping up the lakeside concert, violinist Josh Kua first got the 10,000-strong crowd hyped up even more by serenading them with a medley of Westlife hits. Of course, Shane wasn’t the only performer of the night. As we’ve mentioned before, local singer-actress Fazura was also part of the lineup. After pop siblings, Pong Pong, opened the show with “Xue Mao Jiao” and “Qiang Xin Zhang”, Fazura took the stage, showing off her multilingual skills as she sang the Malay-language “Sayangi Dirimu”; then “Bisa Apa”, which has an Indonesian touch; “Nothing Like Pag Ibig” with its Filipino touch; the English “Can’t Forget Me”, her latest single which topped iTunes Malaysia within 7 hours of release; and back to Malay with the inspirational “Bangun”. Fazura, one of the three main acts for the evening. of their yet-to-release duet at the concert. Her husband, singer-actor Fattah Amin who is also signed under the same record label, made a surprise appearance at the concert. He joked that he didn’t know how he ended up on stage when he was only there to show support for his wife. Nevertheless, he sung his 2018 single “Isterimewa” and then performed a duet with his wife. Fazura said that it was a very special stage indeed since the song, “Paling Sempurna”, was not even released yet. So the evening’s concertgoers were the first to hear it. Heating up the stage next was 11-year-old beatboxer Sawyer Leong. This little man didn’t need any words to hype up the crowd, all he needed was the mic in hand to drop some beat and got the crowd clapping along to his beatboxing. but wrapped it up with a patriotic Malaysian song. The third act from the main lineups of the night took the stage next. 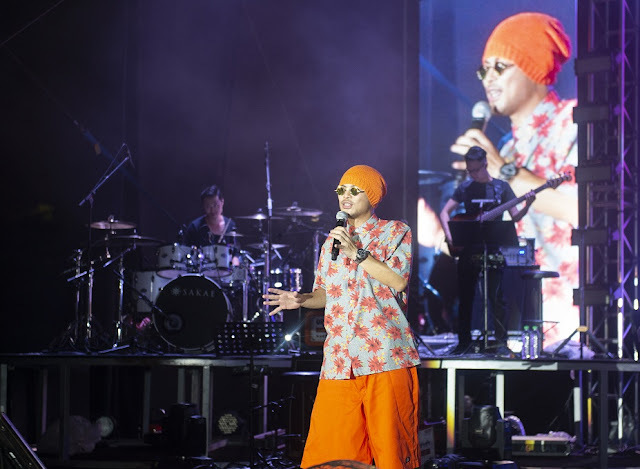 Namewee, a local singer-rapper-director-producer etc., who is controversial and yet entertaining at the same time, demonstrated just how well-traveled he is as he belted out songs he collaborated with other artistes from various parts of Asia. He kicked off his stage with “Yi Qi Biao Gao Yin” and as the title says, he did have to hit some pretty high notes in this song, effectively showing off his pipes. He followed it up with the Vietnamese “The Rain in Ho Chi Minh”, the Thai “Thai Cha Cha”; and the Japanese “Makudonarudo”. Before performing his next song, “To the North”, he said that since Chinese-American singer-songwriter Wang Leehom – whom he collaborated with for the track – couldn’t make it that evening (hey, maybe we’ll see these two performing together at Leehom’s upcoming concert in Malaysia), he asked the fans to be his Leehom and help him sing the song, to which everyone complied even though, again, the song had some pretty hard notes to hit. He wrapped up his stage with the funny but patriotic “Ali, Ah Kao dan Muthu”. Elmina Lakeside Concert taking a group photo. The unique concert (the stage was set on an island in the middle of a small lake while the concertgoers watched from across the lake), presented by Sime Darby Property and organised by Universal Music Malaysia, ended with all the performers taking a group photo on stage to commemorate the special evening.